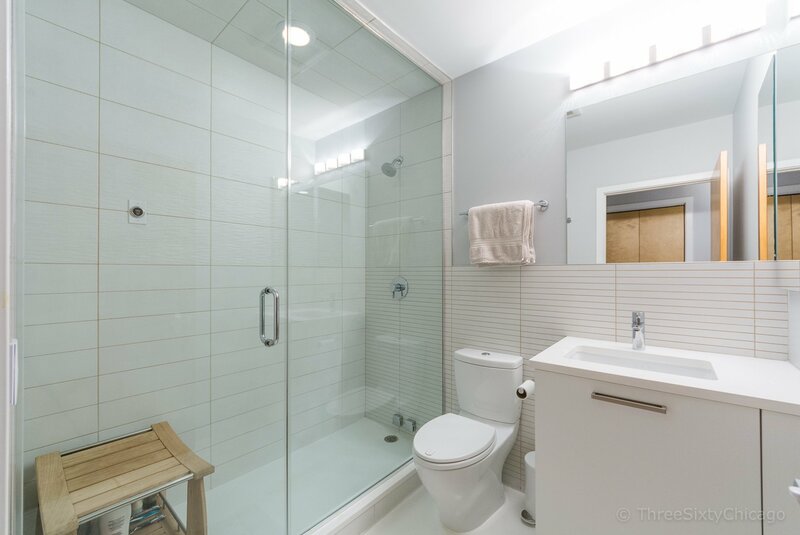 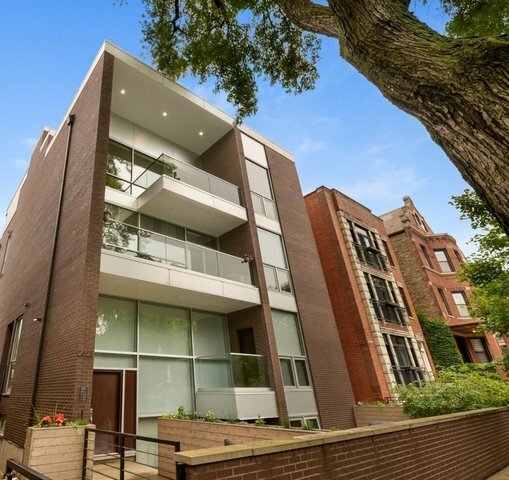 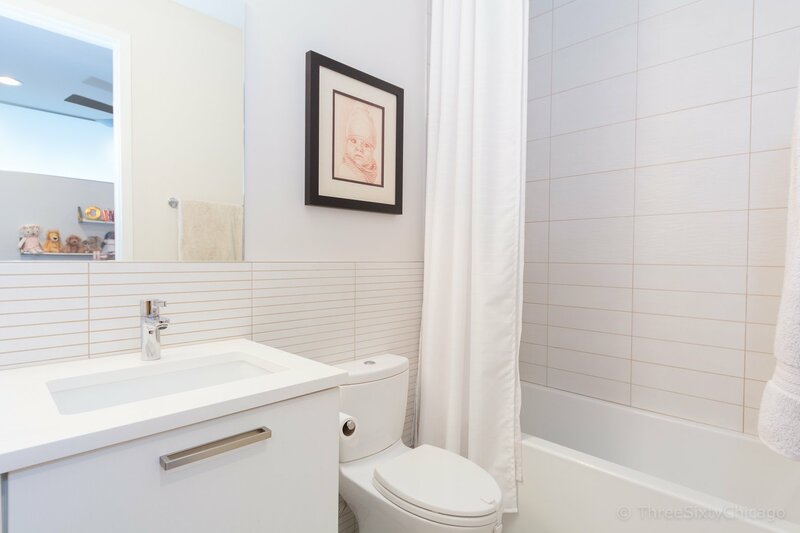 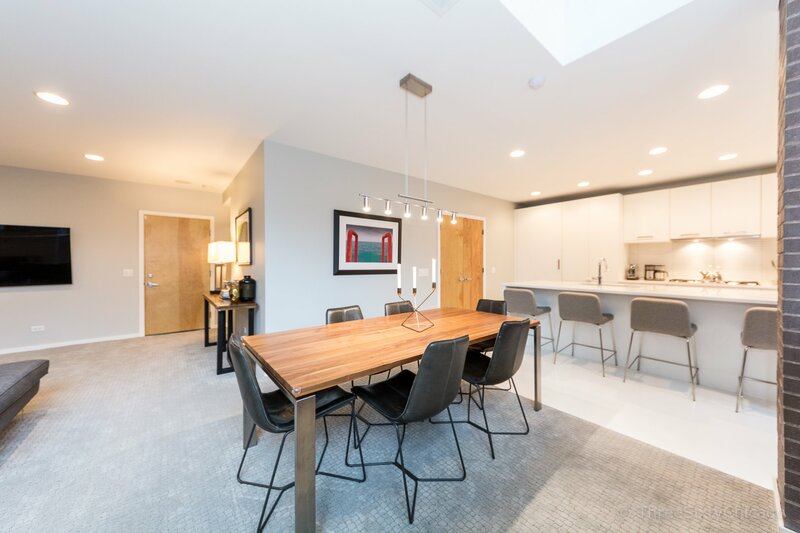 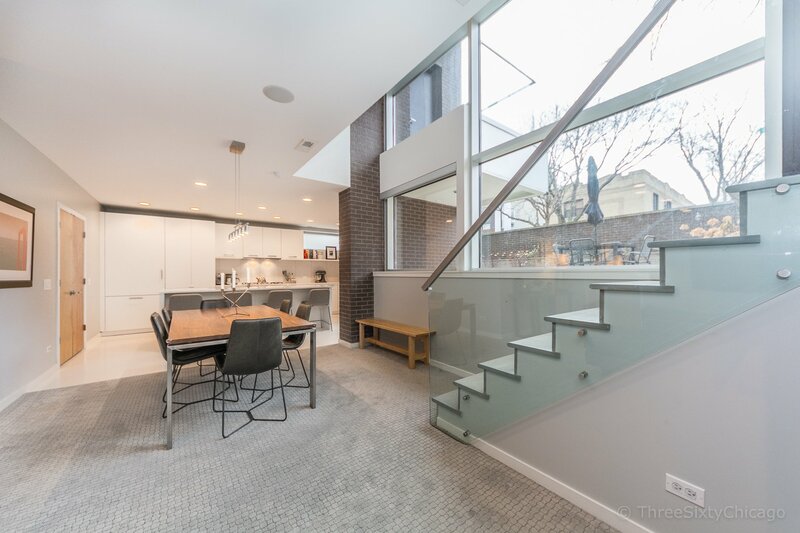 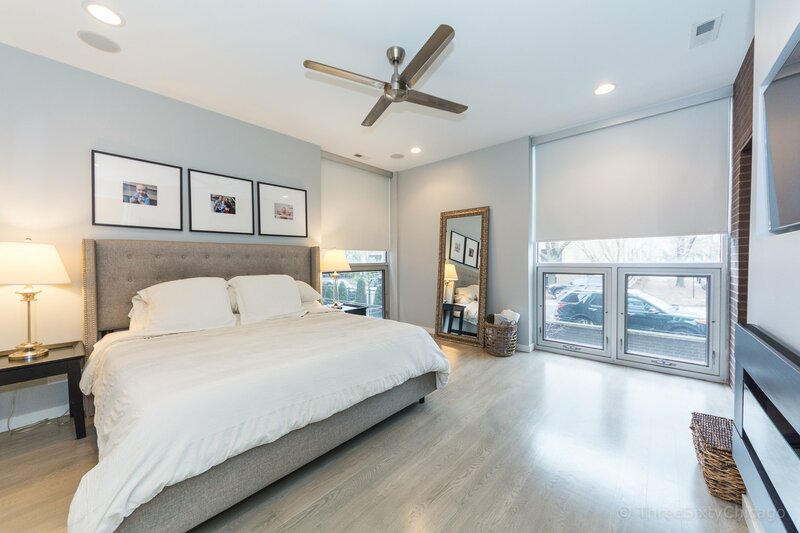 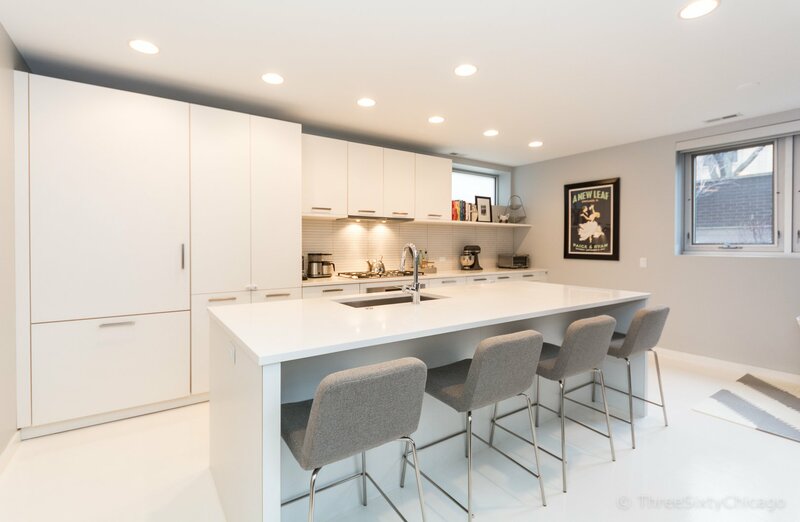 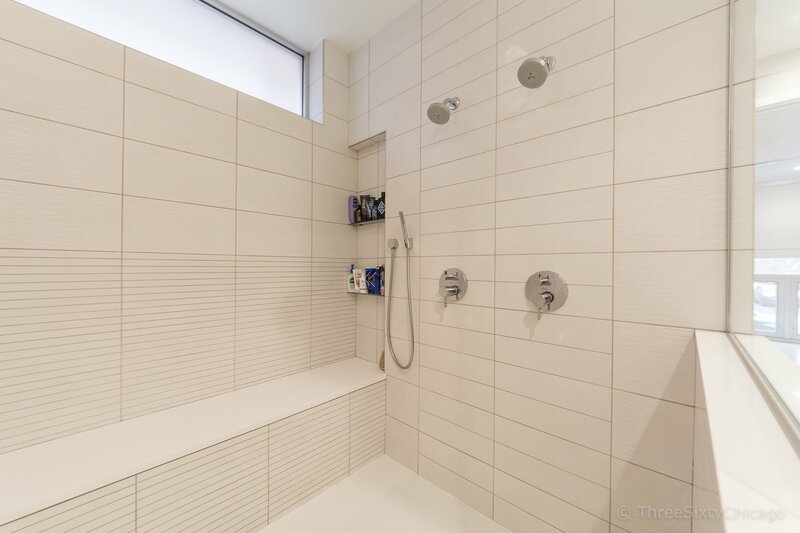 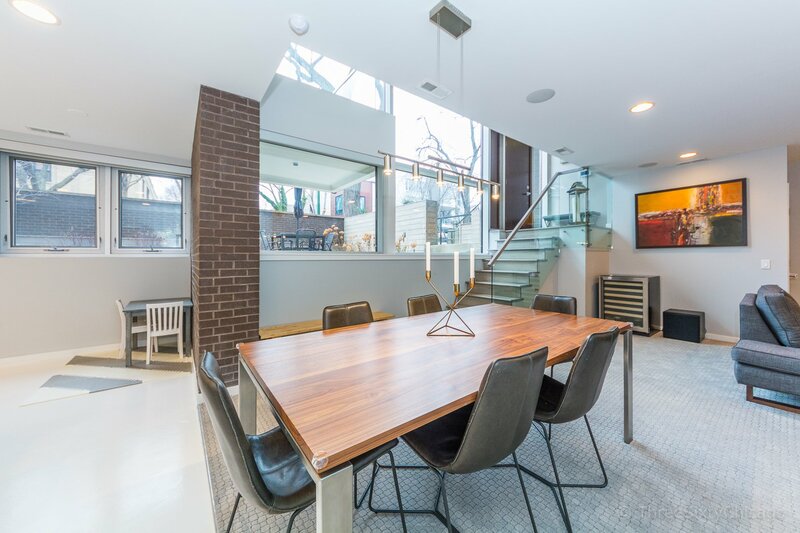 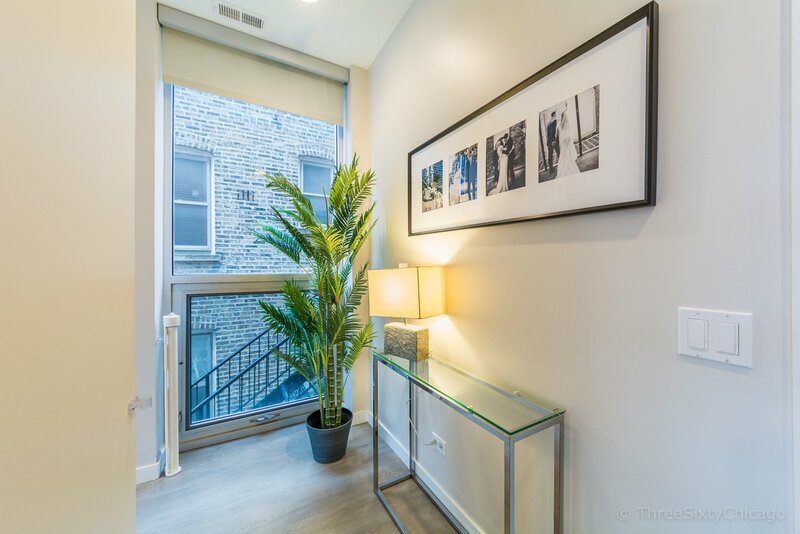 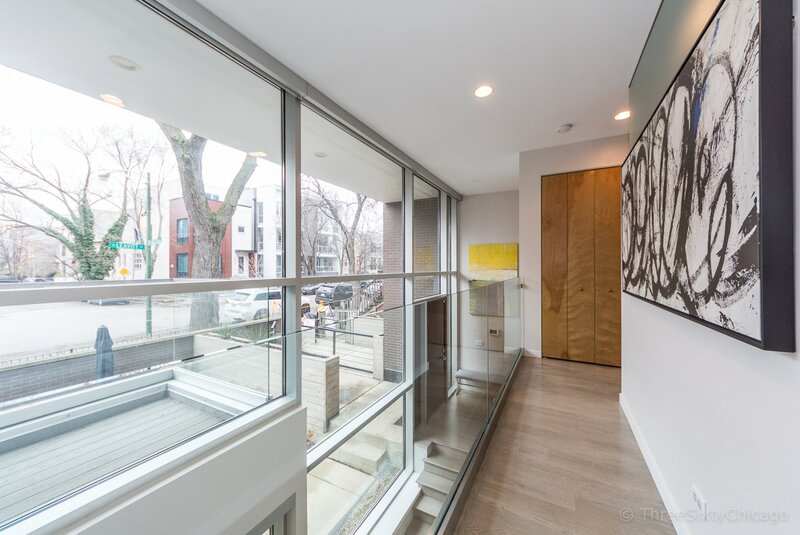 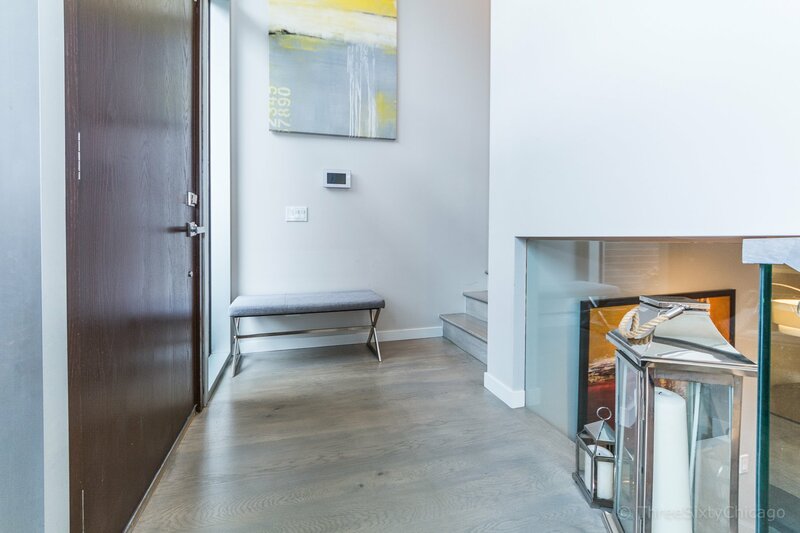 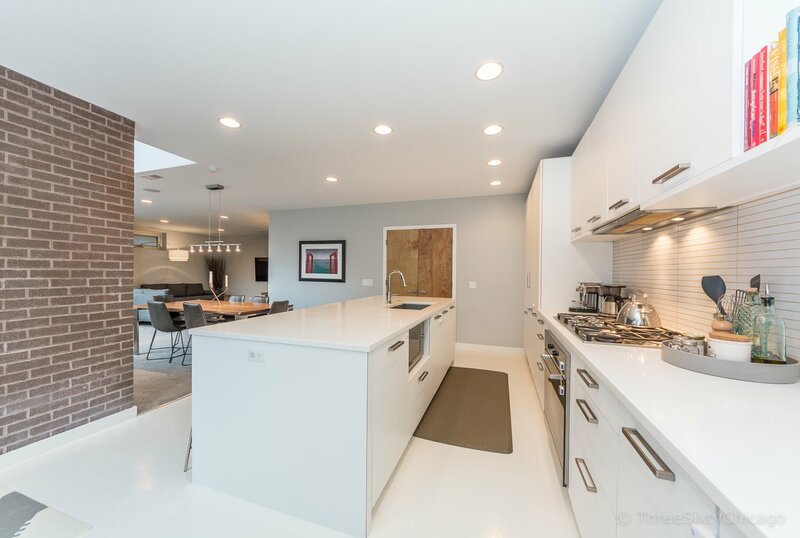 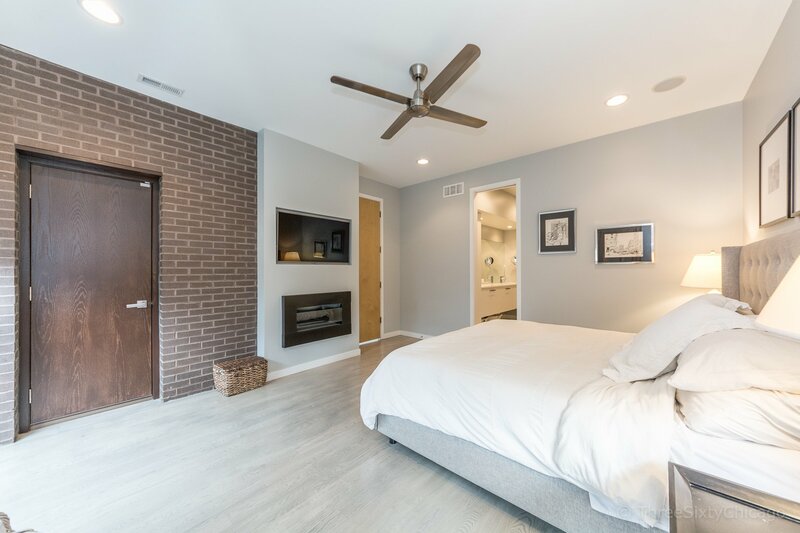 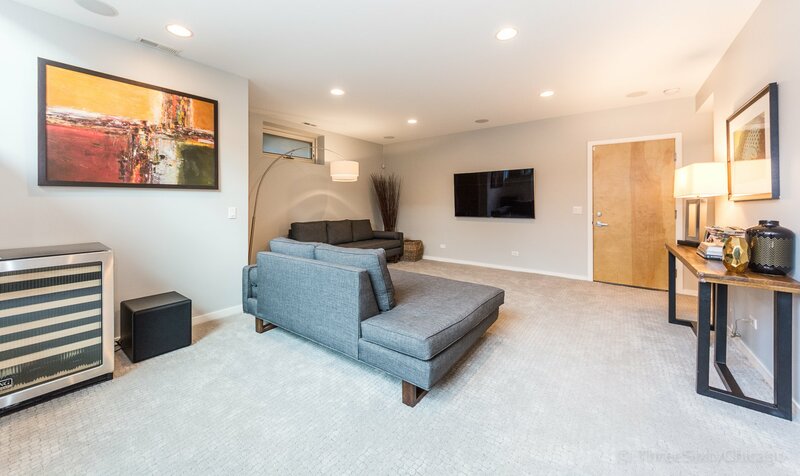 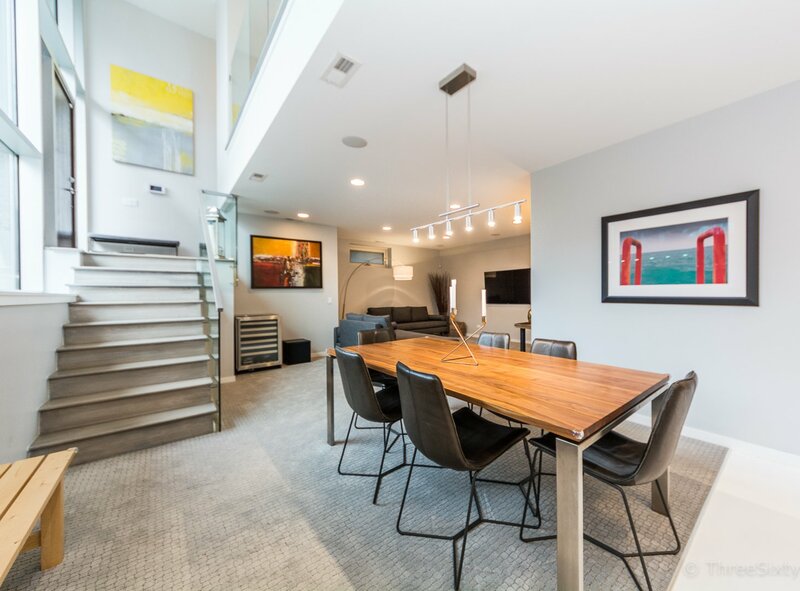 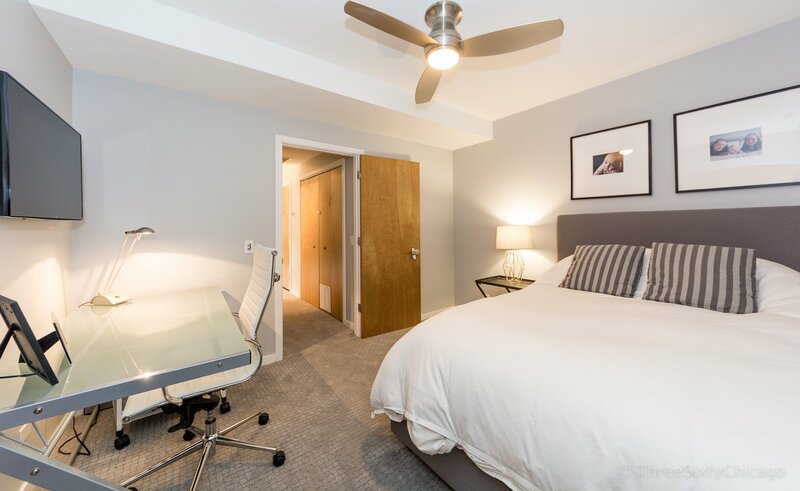 Bright, modern 3 bed / 3 bath Bucktown condo. 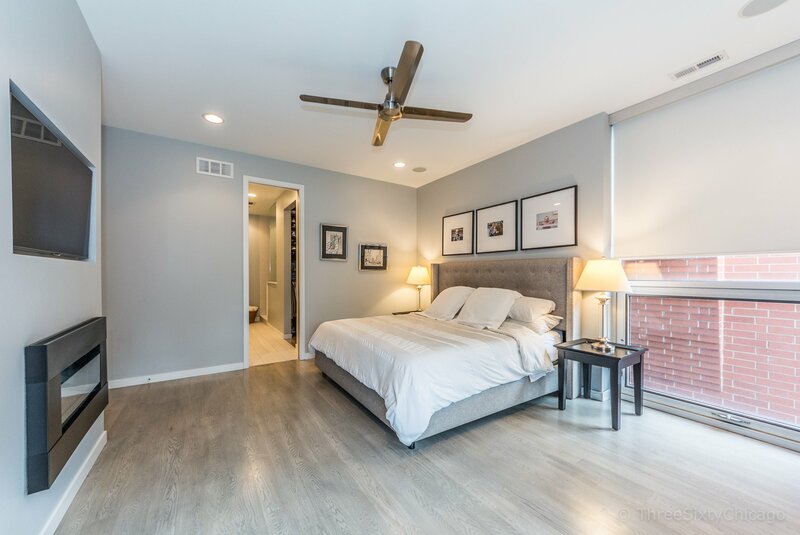 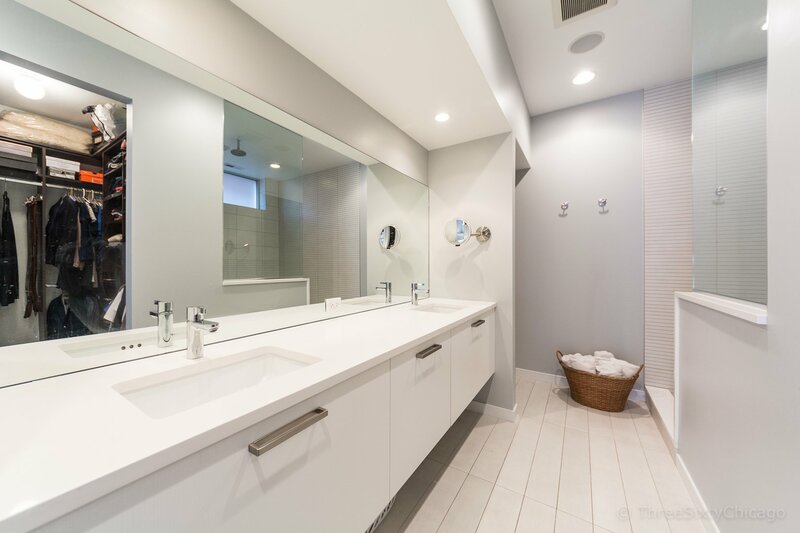 Built over 2 full-size lots, this extra wide unit features high-end finishes, custom design & impeccable attention to detail. 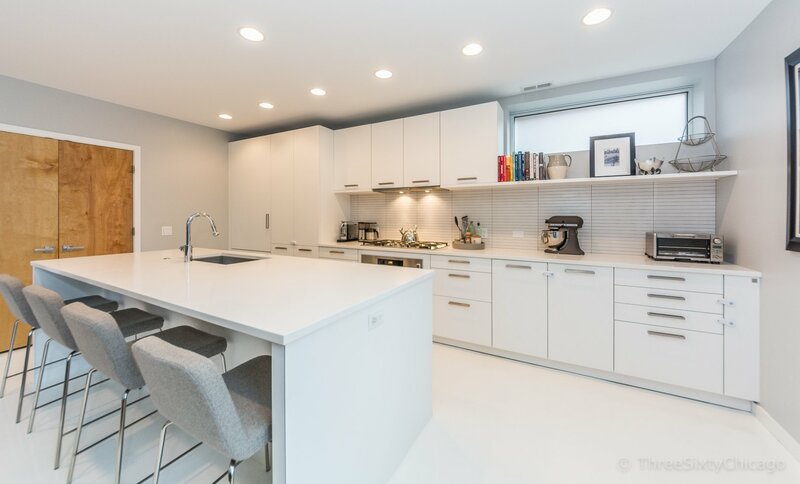 Kitchen cabinets by Leicht, appliances by Miele, spa bath finishes with Hansgrohe fixtures, oversized shower, heated floors & shower bench. 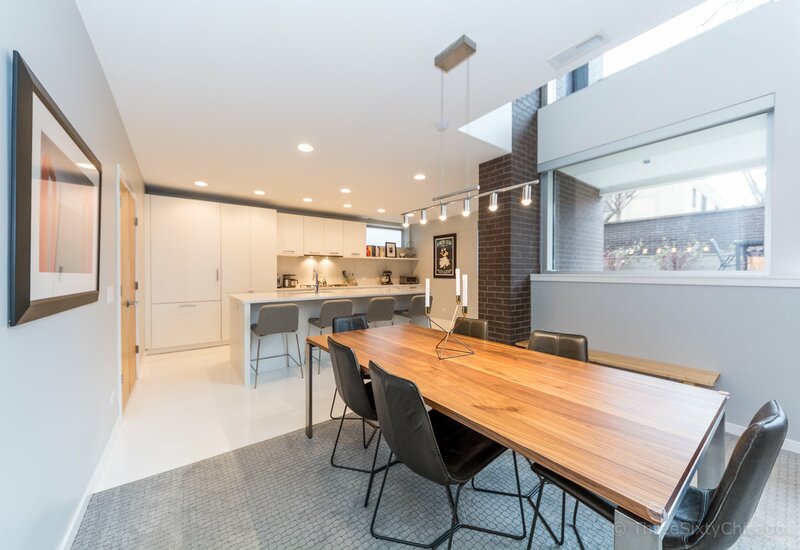 West-facing unit looks down a tree-lined street, so light pours in through the two-story windows. 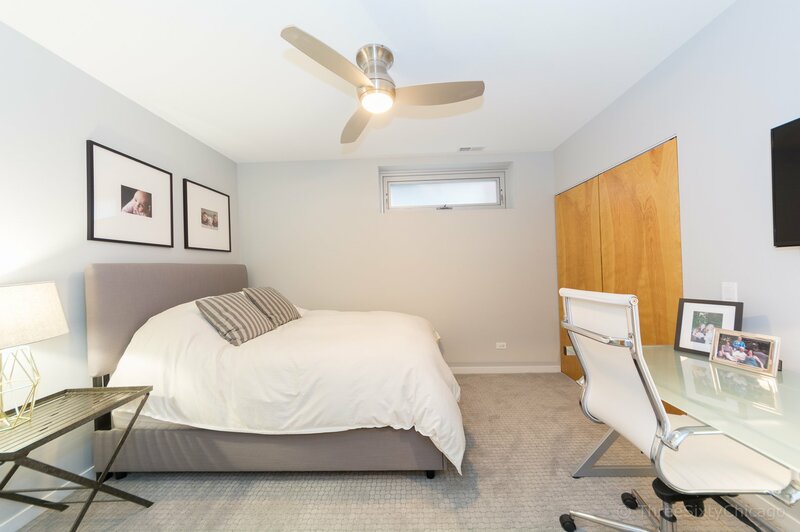 Custom, motorized blinds for when you want privacy. 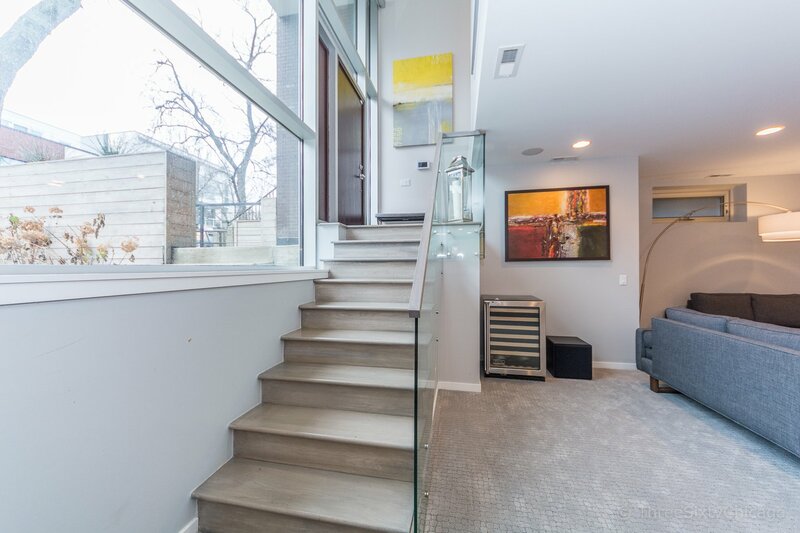 Elevator building for convenient access between floors. 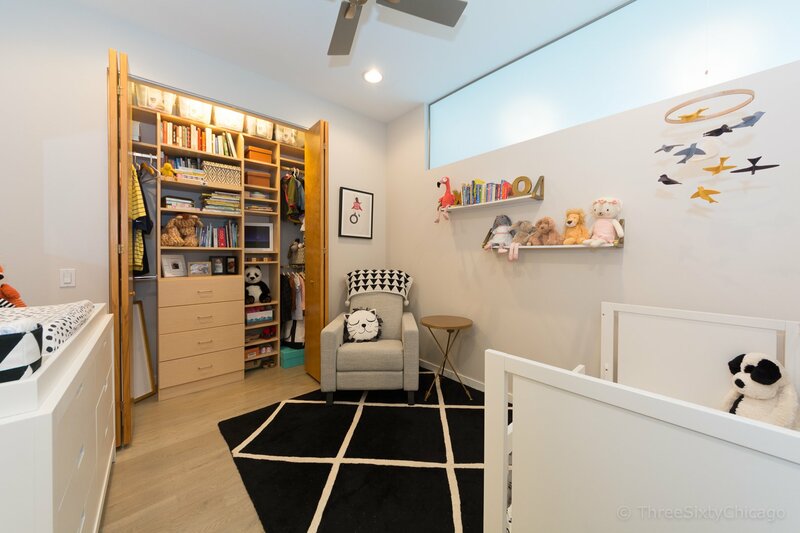 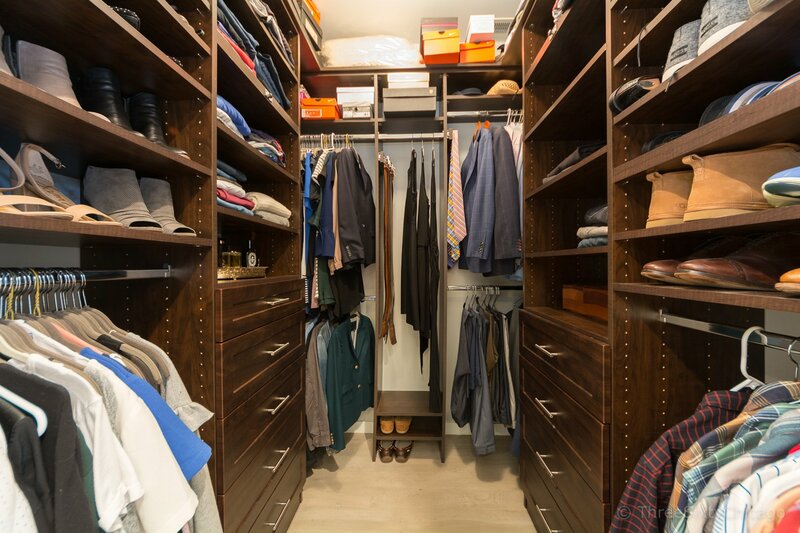 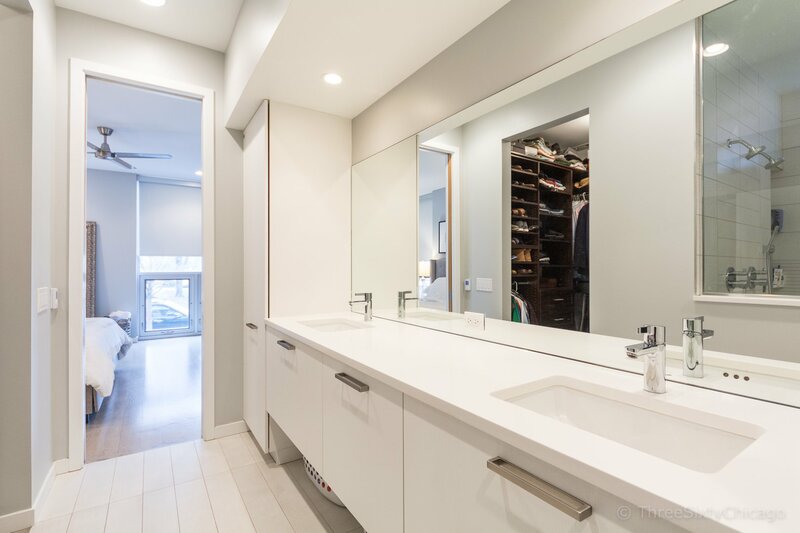 Custom closets provide tons of storage space. 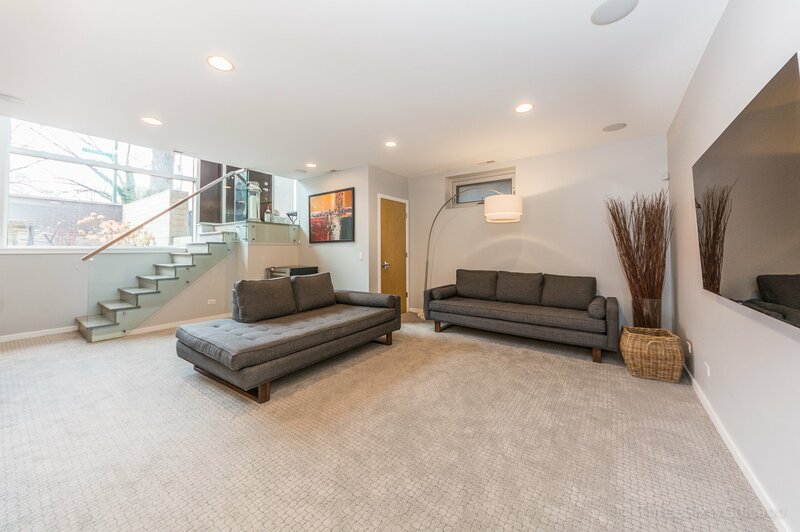 Entire house wired for sound and high-end AV system included if buyer is interested. 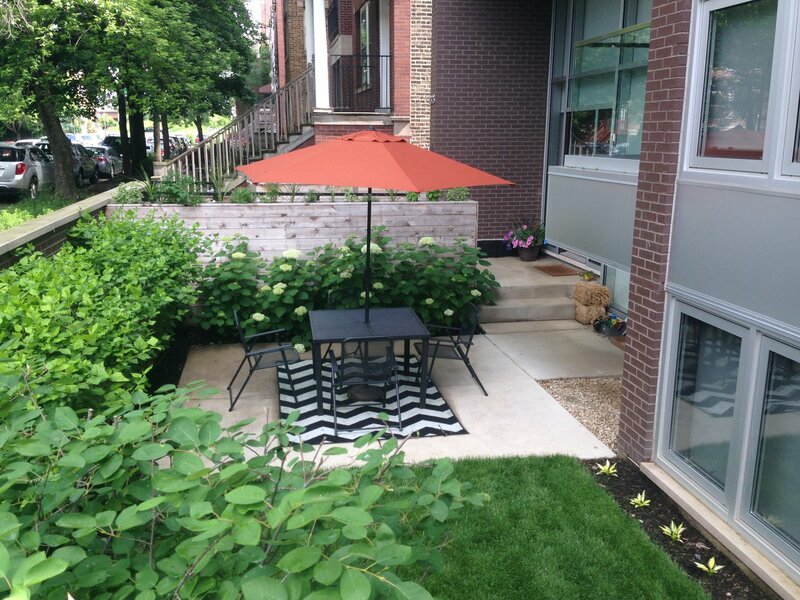 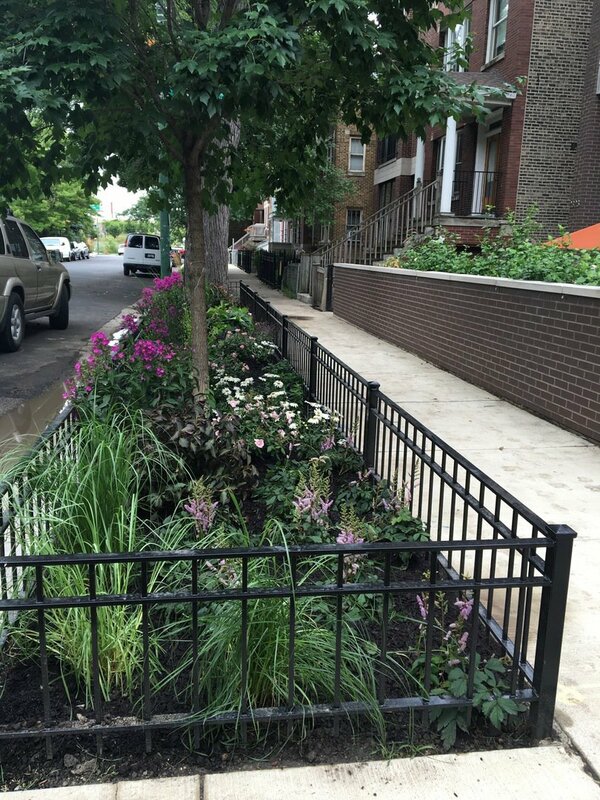 Garage parking, great front yard with beautiful landscaping, 1 block to Holstein park and walking distance to great restaurants and shops on Damen. 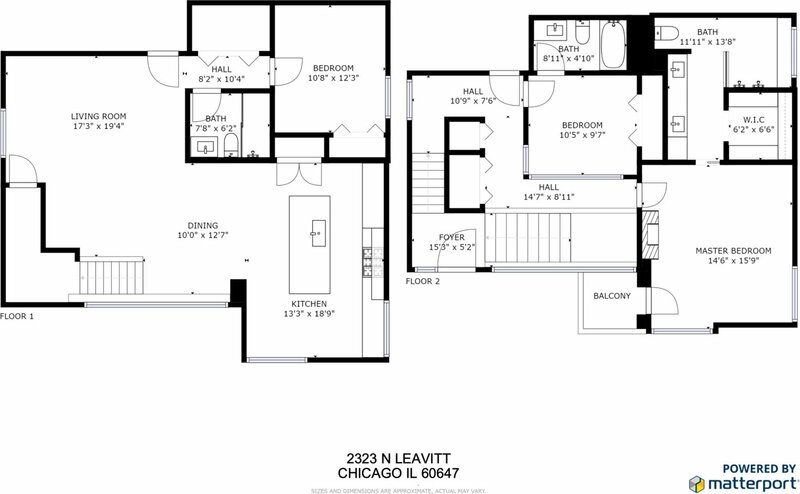 Listing courtesy of Patel Realty Inc..